Canvas banner prints are a great way to take advantage of unused marketing space and spice up your message to your audience. Whether you are an artist, fundraising team, or photographer, our canvas banner prints will make you look nothing short of stunning. Our canvas banner prints are very versatile in that they can be used for a variety of situations. However, there are many other places they add value to an organization’s image such as retail stores, labeling for museums, sporting events, and concert events. These banners can be used in a variety of settings and locations because of the durable nature of canvas. It’s not always easy to stand out from the crowd and captivate your audience’s attention in such an ad-rich world, but our high quality canvas prints combined with our custom graphic design expertise are sure to mesmerize your audience. 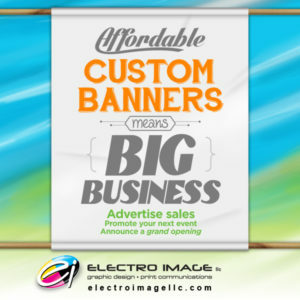 We are certain our canvas banners will make your message look superior. Canvas is a fantastic medium for several reasons. First of all, it is incredibly durable. Other mediums break down more quickly while canvas is tough and strong. 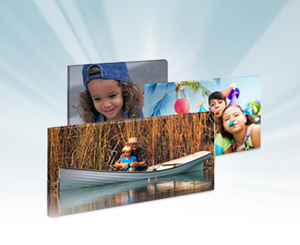 For this reason, canvas banner prints can go just about anywhere indoors or outdoors. They can be hung on the exterior walls of buildings, suspended over streets, or attached to poles. Plus, if you need different hanging options, we’ll provide hems, grommets, and pole pocket options on the banners to help you place them in different areas of your building. Additionally, the texture of canvas makes it receptive to highly detailed printing. The fibers in canvas material are actually made from cotton, so it is a fabric. Conversely, the fibers in paper mediums come from pulp. This is why canvas lends itself very well to highly detailed prints with a crisp image quality. Not too long ago canvas prints were pretty expensive. Yet today they are surprisingly affordable when you choose Electro Image, LLC. Our goal is to provide you with an incredibly high quality canvas banner print that won’t break the bank. While we do take great pride in the quality of our prints, we are also very proud of our custom graphic design expertise. Together, we have over 50 years of combined graphic design experience. The high quality of our canvas banner prints combined with our half-decade of graphic design expertise will produce a finished product that we know you and your audience will love. Contact us so we can show you just how vibrant our canvas banners can make a marketing or promotional message appear. In marketing, image is everything, so we urge you to take advantage of our graphic design and printing expertise to make you look professional. 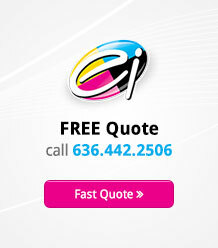 For further information, please visit the company’s website at www.electroimage.com or give us a call at 636.777.7873.